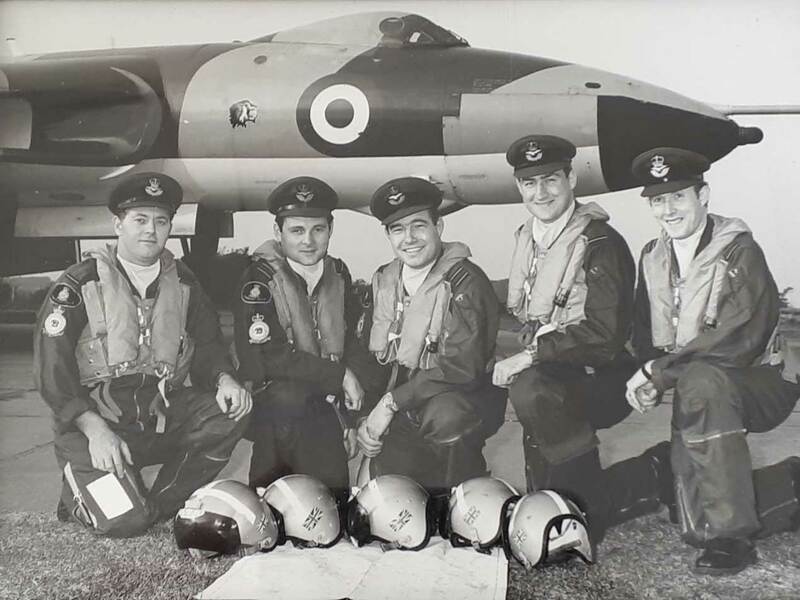 Flight Lieutenant Mike Cooper spent most of his Royal Air Force career honing his skills as a navigator on the Royal Air Force’s Cold War nuclear deterrent, the Vulcan bomber. In the 1970s he earned his reputation as a “bombing ace” in various bombing and navigation competitions, including the 1971 Strike Command Bombing and Navigation Competition, where against all expectations, he won the Camrose Trophy as the best individual crew in bombing. In 1973, he won the Camrose trophy for a second time for individual bombing crew in the STC Bombing/Navigation competition, and that same year, Mike and his colleagues on the Stannard crew were awarded the top “Command Crew” classification by Air Officer Commanding No. 1 (Bomber) Group. He was also awarded the RAF Waddington Bombing Trophy. 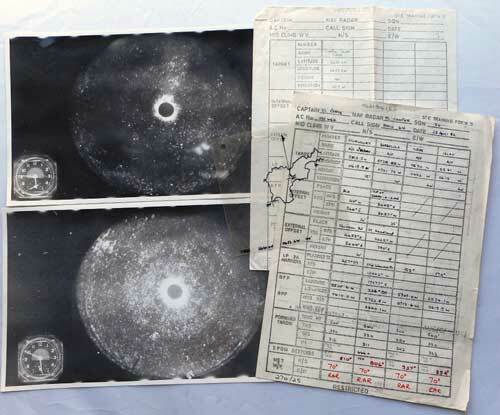 But on Good Friday in 1982, Flight Lt. Cooper and the Vulcan force posted to Squadron Leader John Reeve’s 50 Squadron at RAF Waddington in Lincolnshire, found themselves preparing for what seemed like mission impossible. In response to Argentinian forces' invasion and occupation of the Falkland Island, the UK government had dispatched a naval taskforce to back control of the islands. In preparation for the mission, four crews, including Cooper’s, were selected for intensive training in air-to-air refuelling and conventional, 1,000lb HE bombing. After only 15 days of training, they deployed to Ascension Island on 29 April 1982. The following day, having been nominated as the primary bombing crew, they took off for “Black Buck” Mission 01, but with a cabin pressurisation failure, they had to abort the mission and return to base on Ascension Island, which Cooper says was the biggest disappointment of his flying career. However, his deep-rooted personal and professional objectives were, essentially fulfilled four days later, having successfully completed “Black Buck” 02, a night-time bombing raid targeting the western end of the runway at Port Stanley Airport on the Falkland Islands to try and prevent it from being extended by Argentinian engineers to accommodate “high-performance” combat aircraft. 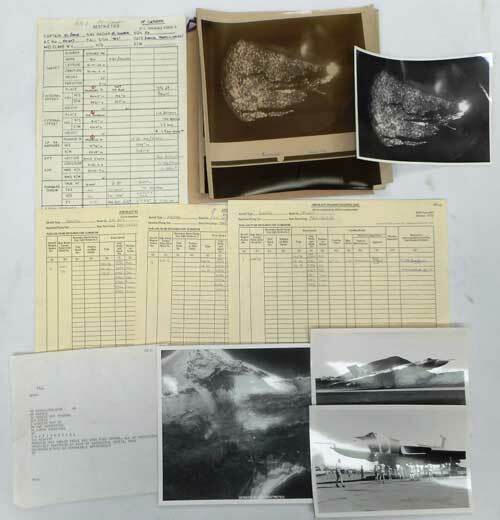 Falkland Islands planning ephemera for the Vulcans, including maps, photos, low-level training items, weapon loading and attack logs and radar photos. Cooper's involvement in the Vulcan South Atlantic detachment ended on 2 June. Overall, five “Black Buck” missions were completed involving only 18 airmen. Further aircrew flew as reserves and/or operational planners. On 17 December 1982, all four “Black Buck” crews flew in formation over HQ No 1 (Bomber) Group and all past/present V-bomber bases. This was the last day of Vulcan bomber flying operations. On landing, Cooper's navigation bag was closed, and to this day, remains untouched. The Vulcans were taken out of service not long after the Falklands campaign. Now Flight Lt. Cooper (ret'd) is auctioning memorabilia from the famous Black Buck missions, including a South Atlantic Medal with rosette, one of only 15 awarded to Vulcan aircrew, as well as flight log books, maps, photographs, his navigation bag and Vulcan flying suit, a Black Buck mission flying suit badge, a Vulcan pilot’s remote trim auto-pilot indicator and a Vulcan bomber power switching control panel. The military auction will take place at Thomson Roddick’s Carlisle auction room in Cumbria on the 11th April at 10.30am. The auction will be broadcast live on the internet enabling people to bid around the world. Details are available on Thomson Roddick’s website www.thomsonroddick.com. To find out more about the UK's fomer nuclear deterrent, the Vulcan bombers, SUBSCRIBE to the magazine.